Glacier Series. The informed choice. Air quality is a top concern for today's families. The Broan series, with its superior capture efficiency, is the ideal solution. This model's features make it a sound invesent that will last for years. Slim Chef 30 inch Under-Cabinet Range Hood in Stainless Steel Instantly add professional design and function to your kitchen with the Slim Chef range hood. Made with high quality 430 stainless steel, the Slim Chef under-cabinet range hood with beautifully finished rounded corners combines powerful ventilation and elegance featuring removable thin stainless steel baffle filters, 4-speed electronic LCD controls with convenient delay auto-shut-off feature and energy efficient LED lights. The stainless steel inner panel provides easy-clean convenience. With a height of only 5 in. and available in Stainless Steel, White or Black colours, the Slim Chef range hood can replace any existing under-cabinet range hood easily updating the look of your kitchen in no time at all. Slim Chef 30 inch Under-Cabinet Range Hood in Stainless Steel is rated 3.9 out of 5 by 18. Rated 3 out of 5 by Ali from Very loud fan, not enough power on lower fan selection.... Very loud fan, not enough power on lower fan selection. Rated 4 out of 5 by BFS from Attractive, slim, and has a good range of power (speed)... Attractive, slim, and has a good range of power (speed) settings. Lights are powerful, but they have a slight distracting onset delay. Mounting screws, which were supposed to be included, were missing in mine. Mounting holes did not line up with my 30-inch cabinet, so some adjustment was necessary. Rated 2 out of 5 by Gary from The control buttons did not function properly. The filters are... The control buttons did not function properly. The filters are charcoal fiber. Not stainless baffles as described. Rated 5 out of 5 by HomeDepotCustomer from Love this fan. Lights are very bright. Fan is a... Love this fan. Lights are very bright. Fan is a little loud on high. Rated 5 out of 5 by Hemishemi from Fits perfect, matches other appliances well.... Fits perfect, matches other appliances well. Rated 5 out of 5 by Martin from This range hood is attractive and the controls are simple... 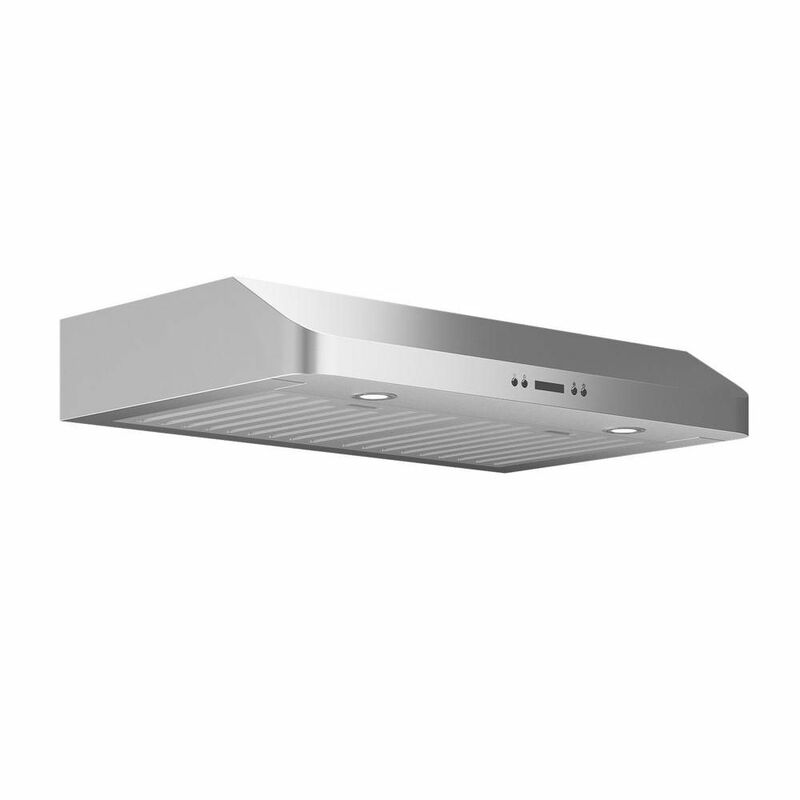 This range hood is attractive and the controls are simple to use. All features are good.